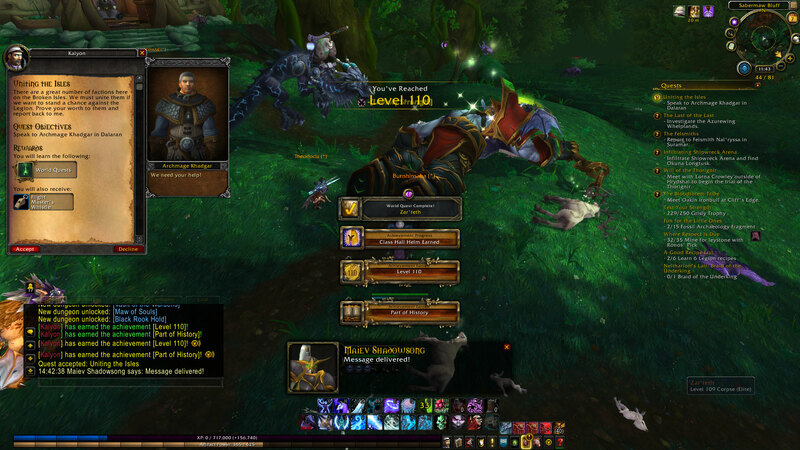 Reputation Grind | It doesn't end at exalted. Faire time! Let’s hop on the carousel and get those alts rolling. Pretty epic ding here by Professor Paddey on Coren Direbrew to make priest my 8th class to 110. He had a couple of pieces of unsullied gear from Kerick’s adventures on Argus, as well as ilevel 885 BoE gloves that dropped for Oranis in Tomb. (I almost said Nighthold, that’s how much I skipped over Tomb of Sargeras. 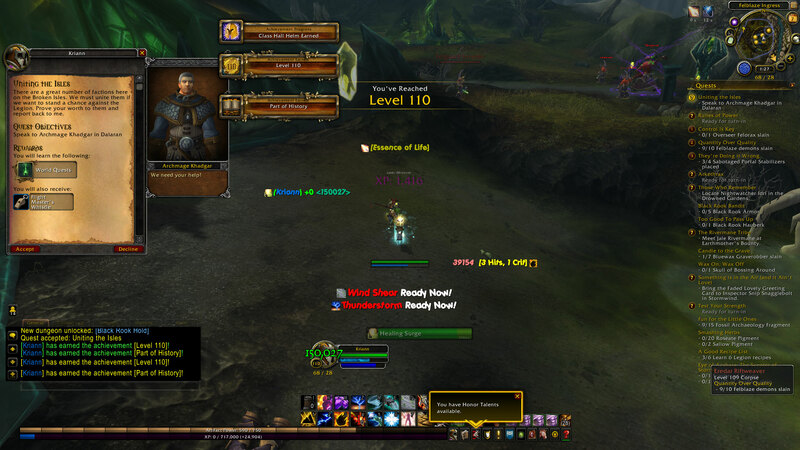 I only just finished it in LFR on Saturday!) I sent him out to do the WQs that awarded gear upgrades for him. He has to do a dungeon to advance his class campaign though, so I’m holding off on those until next week when the Legion dungeon event is the weekly. That also gives me enough time to get him geared enough for heroics. 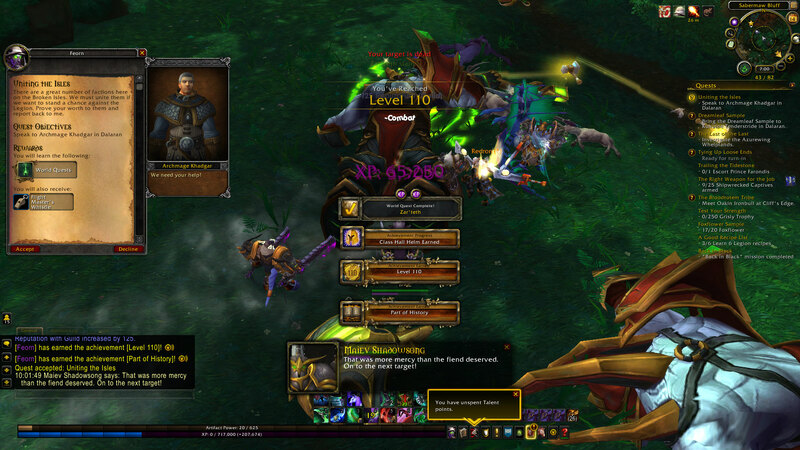 The other four classes (monk, demon hunter, death knight, shaman) are all at 108 or 109 so it won’t be long. No hurry though, as I’m still working on 3 class mounts plus now Paddey as well. Speaking of class mounts, Madorsa finally got around to getting her demon horseys. Or two of them at least. I’ll need to wait on the rare spawn to get the purple one. Hunahuna the druid is on the second to last stage, the mission. She was stuck on the 3 rare elites for awhile but finished her balance weapon this weekend so I went and got her bear claws. 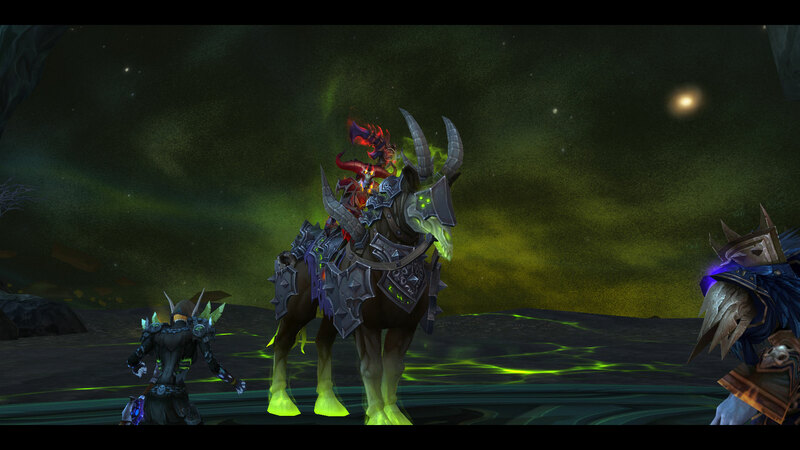 Having had such success with Kerick going prot for Argus, I figured going tank with her should get me past the elites. Even if I couldn’t solo them, as a tank I’d only have to wait for one dps to come help. Well, I *was* able to solo the third one .. barely. I learned a lot by not having any help. She’s looking forward to finishing and getting to Argus. Sanbec is actually on the class mount scenario. 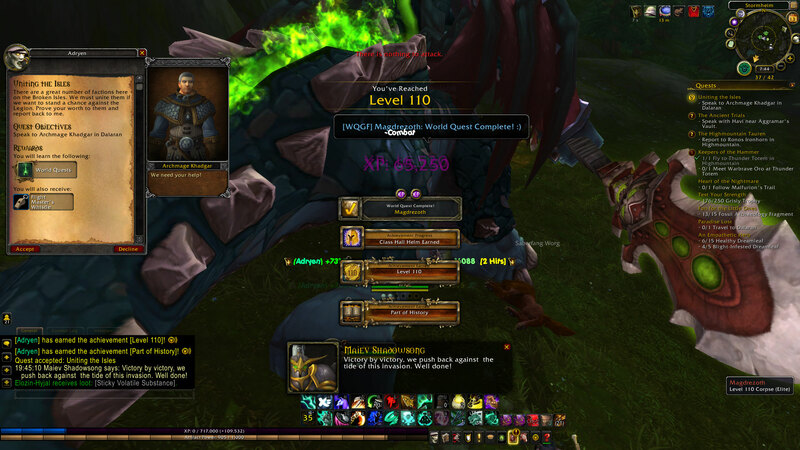 However, Blizzard made the warrior scenario a little more difficult than some of the other classes’ questlines, and I was unable to do it at his sad ilevel, even after going prot. He’s collecting gear and should be able to manage it soon. Juna is the farthest behind .. or was until Paddey dinged. She is on the stupid Sentinax marks. Easy enough for her as a hunter, I just need to be motived to bother with it.